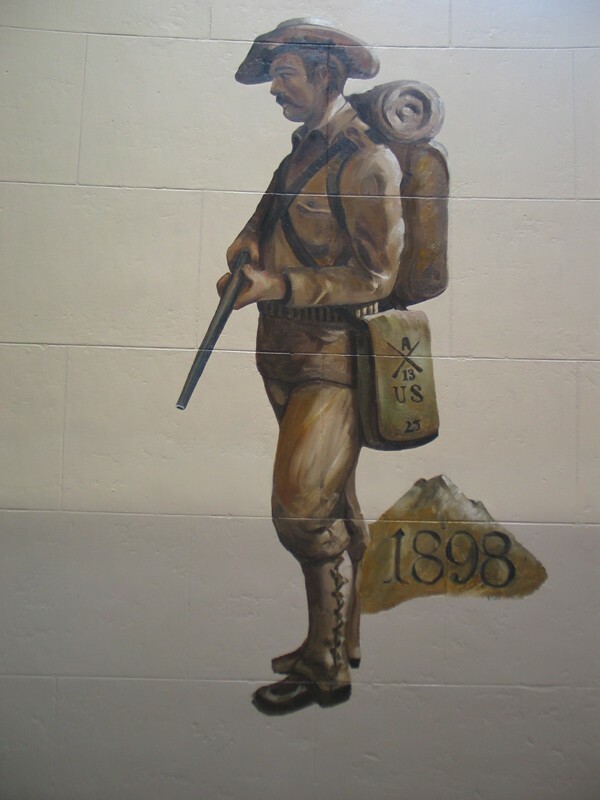 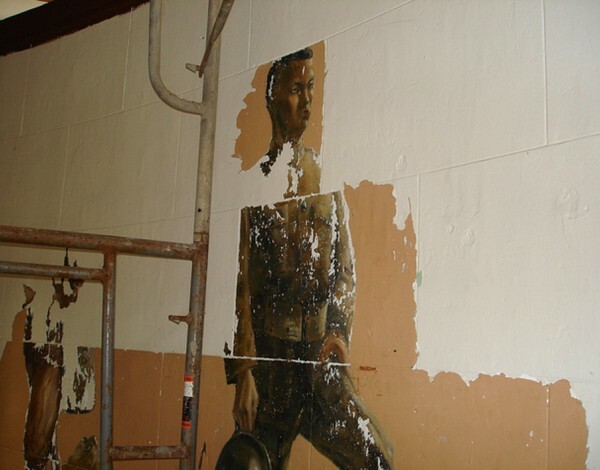 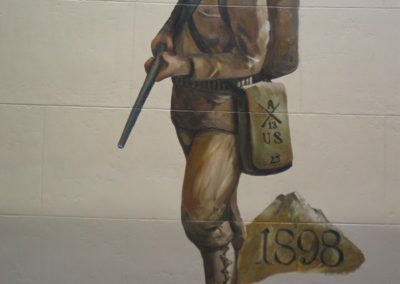 To completely conserve the walls, panels, ceiling, and two original murals; and restore decoration of the original painting, stenciling, and glazing of the Schofield Barracks Quad F Theatre in Honolulu, Hawaii. 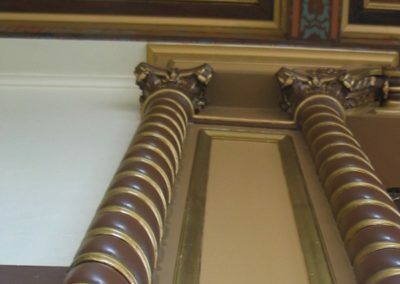 Before restoring the theatre to its original perfection, artists performed an investigation to determine the original color palette, finishes, and decorative treatments applied to each architectural element. 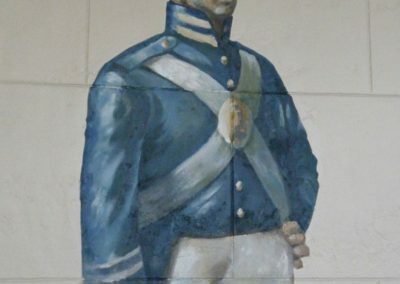 Artists removed layers of paint to uncover the original color scheme. 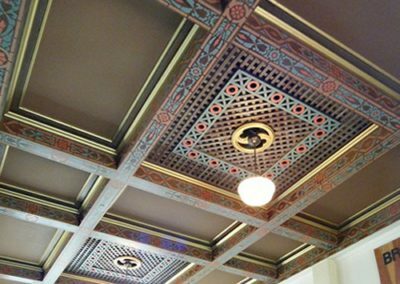 After identifying the hue, chroma, and value of each color, Conrad Schmitt Studios mixed custom colors to match the original paint. 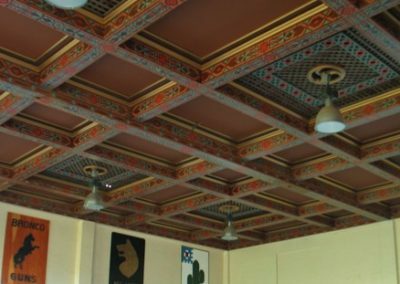 CSS proceeded by washing all beams and gold paint ribbings at the ceiling using a mild cleaning solution that removed all grease and airborne pollutants, without removing any artistic designs. 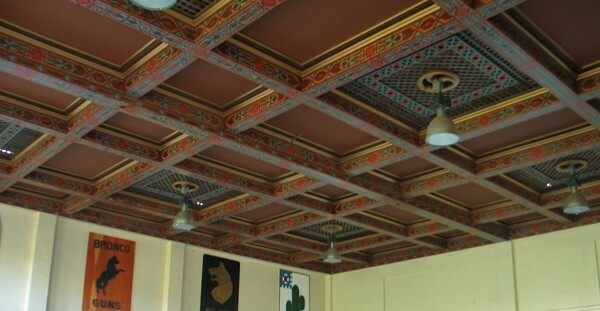 Gold paints were applied to the ribbing and existing stenciled artwork on the beams was traced, cut, and re-stenciled to accurately portray the brilliance of the original artist’s intent. CSS artists scraped walls to remove loose or flaking paint, and gouges, pockets and cracks were filled. 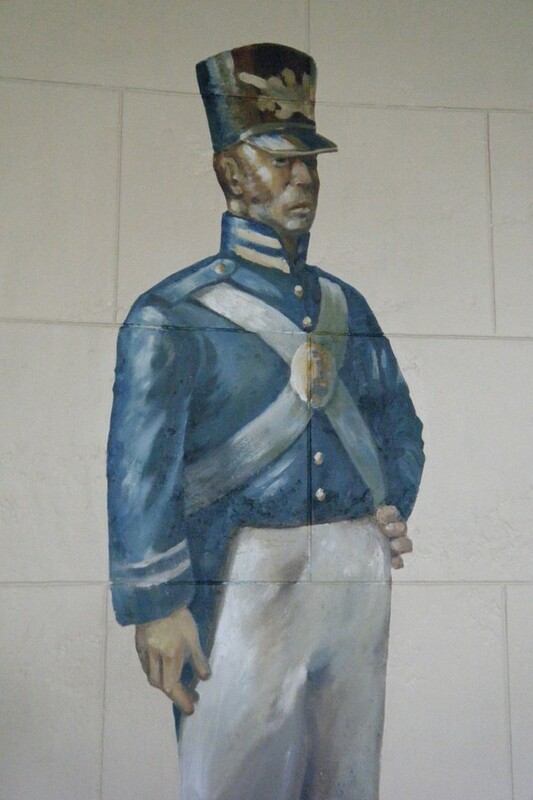 Walls were primed and base painted to the original scheme. 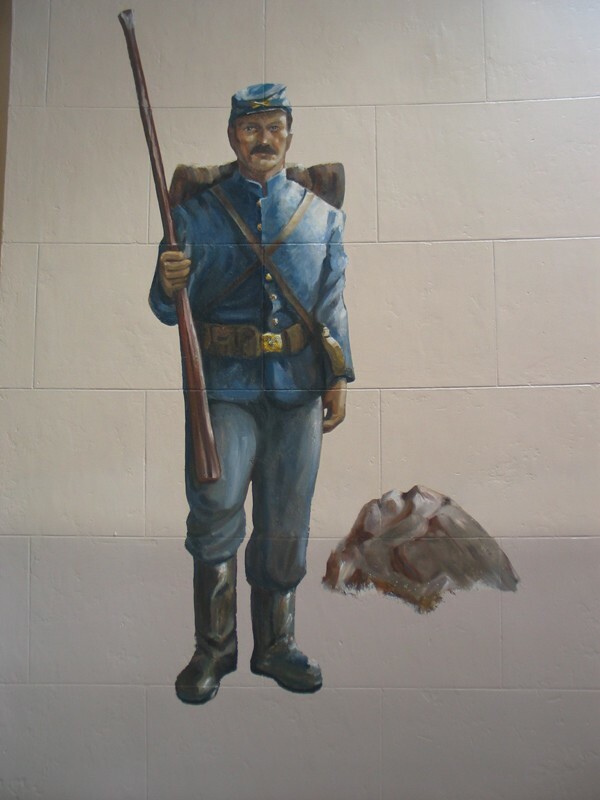 All lower walls were faux finished, grout lines received highlights and shadows, and mottling/stippling techniques were employed to match the faux stone. 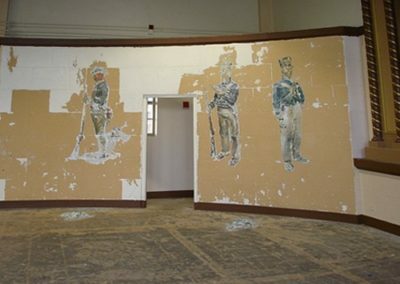 The project flourished with the unexpected discovery of two murals. 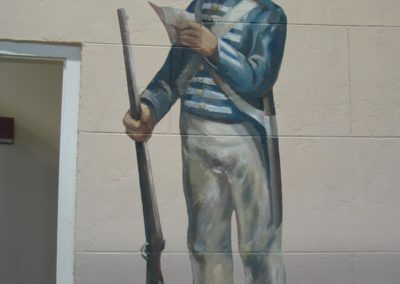 During the paint investigation, an artist noticed deliberate paint strokes on the wall. 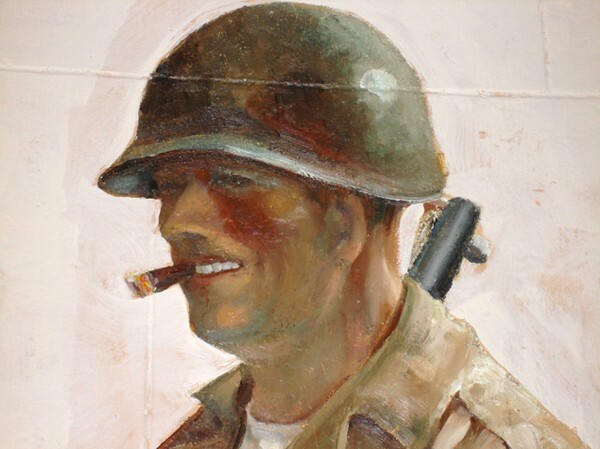 Carefully removing the over paint, he exposed one soldier and part of another soldier. 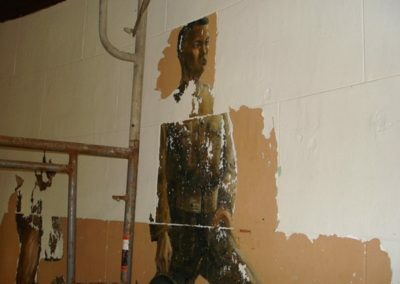 An onsite historian advised the Studio to restore the murals. 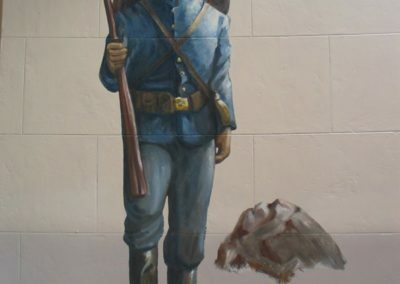 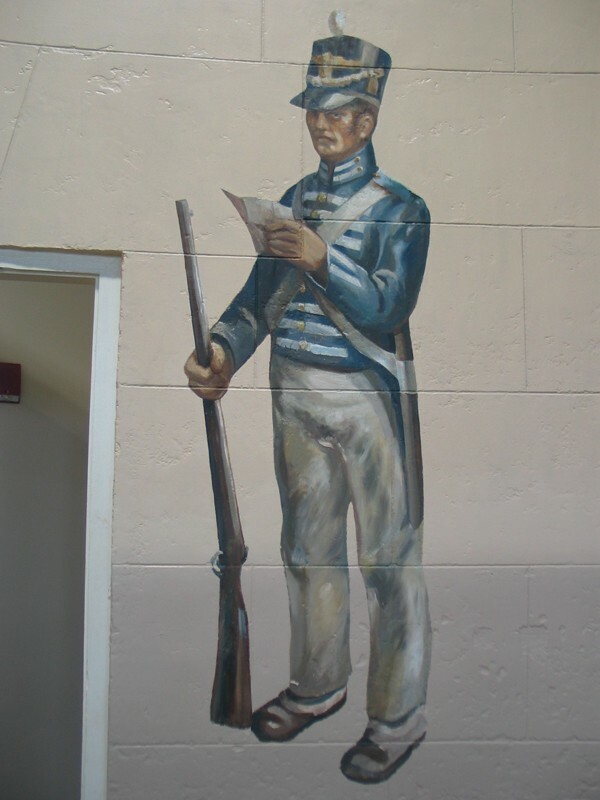 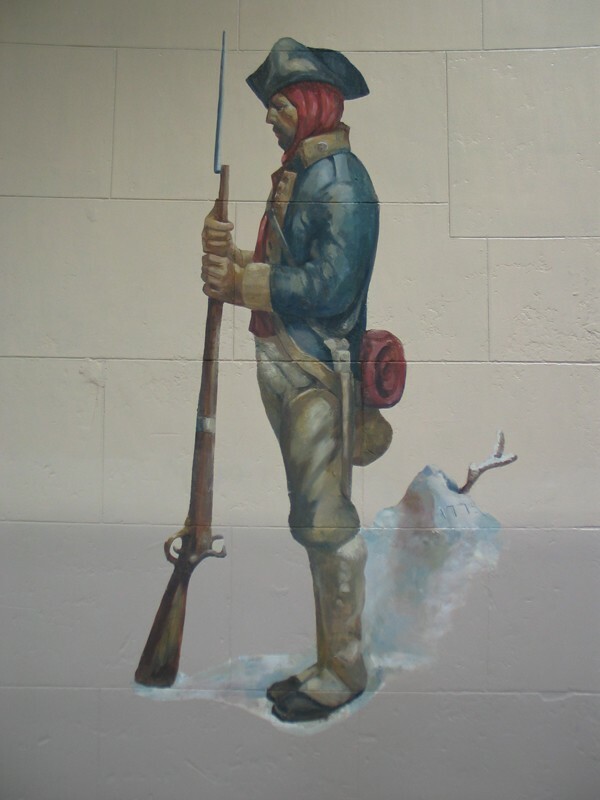 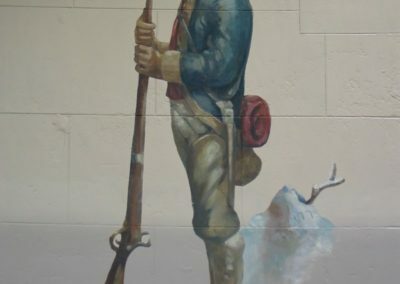 The two large murals contained seven figures, depicting the U.S. military conflicts from the Revolutionary War to World War II. 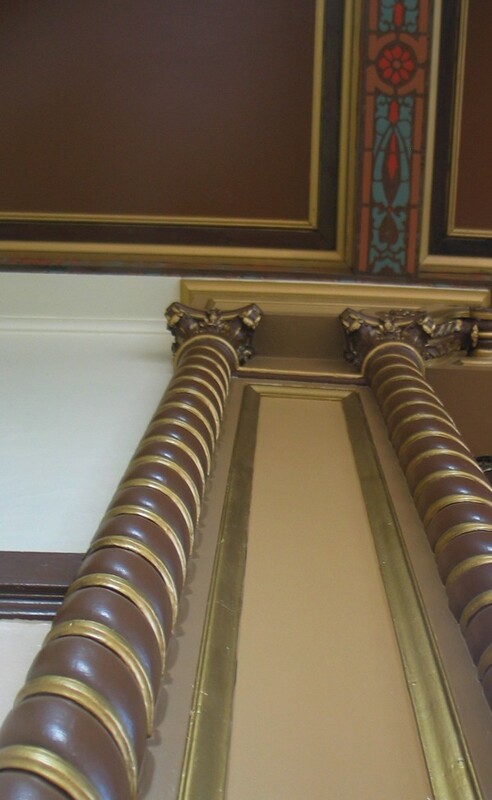 Saving what they could of the figures, minor infill painting restored the damaged sections. Conrad Schmitt Studios’ work in the Quad F Theatre garnered the 2010 Historic Preservation Honor Award.